I am a new subscriber and your videos are great! In some videos your are talking about flop texture rating. Do you have any table of flops with ratings (from 1 to 10) and flop examples? If don't I think it may be very helpful. I think it may be a good idea to create even more then one table for some other common situations. Like: flop ratings vs one/two players, or as pre flop raiser or caller, or multi callers. If you're just looking to understand texture itself, why don't you make it? It would be a good exercise, and a useful table to understand. You know what makes dry-->wet flops, start there. I'm not sure many people would have a table on hand like this because c-betting for value and bluffs are too situational to put on a table. DPP is hosted here on the site btw. You don't have to listen to it on youtube. 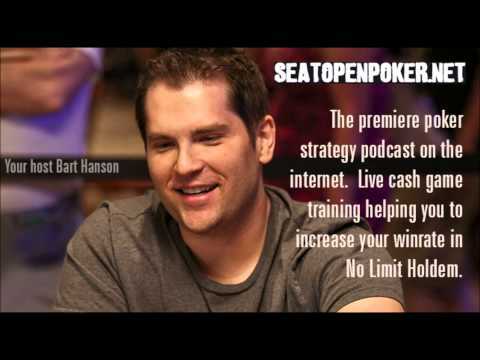 It's at the bottom of all of the Crush Live Poker podcasts on the podcast page. Nope, DPP is not available to non subscribers. Maybe I misunderstood you. If you are a subscriber it is available within all of the podcasts. It is actually DPP #13 and you can search for it in the videos search box by tying in Cbets. It sounds so dirty when u say DPP, Bart.